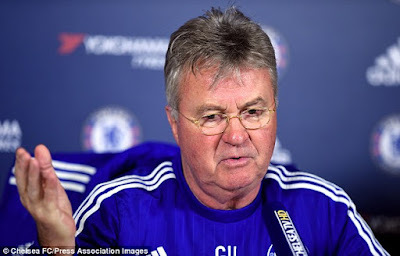 Guus Hiddink, the man linked with many of the top jobs when they come up. A lot of people would think of him as a man who can save a team when they are in a sticky patch. However in South Korea, he is seen as a hero and understandably so as this is a man who took the team to a World Cup semi final in their own country. It is said that when Hiddink took over he had one job and that was to make sure South Korea did not embarrass themselves at the 2002 World Cup and he did that in some style. He improved team spirit, had the whole team eat together and just made the whole group feel like a club. There was a host of friendlies leading to the World Cup in 2002. So without the pressure of competitive football he had the players enjoy their football and it worked better than anyone could imagine. The honorary citizen of South Korea, it was announced in September had been offered the role of Head Coach. This was offered to him in June however he didn't take up the role. It is thought that Hiddink respected the decision to go with with Shin Tae Yong instead but offered to help in any way possible. Kim Ho-Gon the managing director of the Korea Football Association said in a press conference Hiddink hadn't found the role appropriate for him to take at the present time. At the moment there is no plans for Hiddink to get a job within the South Korea football setup. However it looks like in the future both parties would be opened to him coming back to South Korean football. A pole in South Korea also discovered that 7 out of 10 South Korean football fans would want Hiddink back as Manager or Technical Director. Also with the team needing improved am sure the Korean Football Association will be looking at the best ways to make this happen and help them improve in time for the World Cup in June.